Tonight on Raw we have two huge matches set. First, we will see a Triple Threat Match for the Intercontinental Championship as Dean Ambrose defends against Seth Rollins and Bobby Lashley. Will Ambrose retain or will Lashley or Rollins emerge victorious and be crowned the new Interocnintal Champion? Also, set for tonight Ronda Rousey and her Royal Rumble opponent Sasha Banks will team up to take on Tamina and woman Banks beat last weak to earn her championship match Nia Jax. Plus, after Brock Lesnar chose not to step in the ring with Braun Strowman last week is Strowman truly ready for Lesnar or does he have another thing coming? The Revival once again got screwed out of the Tag Team Championships, will action be taken or does The Revival go to the back of the line? Finally, how will the Royal Rumble Matches continue to shape up with the huge event being only a few weeks away? 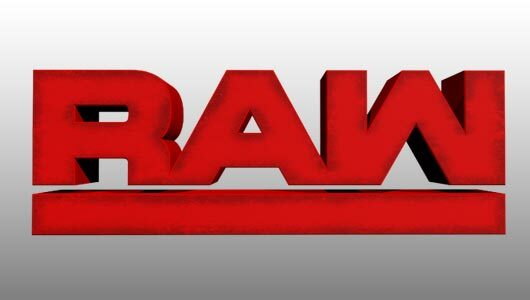 Raw comes to us from the FedExForum in Memphis, Tennessee. Strowman proclaims that Lesnar has always been afraid of him. He tells how when he had the Money In The Bank contract he was always looking over his shoulder. He then tells how Lesnar stopped him from getting the Universal Title and how he had Baron Corbin interfere to prevent him from winning. He then tells Lesnar he is all healed up and reminds him that Corbin is no longer in power so there is no one to save him. Strowman says he will get the Universal Championship and the only thing Lesnar is gonna get is these hands. Out comes Baron Corbin. Corbin says he may not run Raw anymore and Strowman reminds him he got fired. Corbin says he will stand out here all night until the crowd listens. Corbin tells Strowman if he stands up here for five minutes it’ll be longer than Strowman lasted with Lesnar. Corbin tells him he can’t beat Lesnar and tells Strowman he is gonna win the Royal Rumble and go where Strowman will never go and that’s the main event of WrestleMania. Strowman then chases him into the back. Strowman doesn’t get an answer from the Singh brothers and Strowman throws Sunil over the table. Elias is then backstage and sings a song about Baron Corbin and tells Strowman Corbin is down in a limo. Strowman pulls the driver out and throws him over the hood. He grabs a led pipe and breaks the window. He then rips the door off the limo and Corbin comes out of the other side and runs away. Vince comes up to Strowman and is at a loss for words as Raw goes to break. I like this outburst from Strowman to start off the night. This is a good way to build him up before the Rumble having him be on a path of destruction. You have to keep Strowman looking strong and keep him over with the fans and this is a great way to do it since Lesnar isn’t here. Next week if Lesnar shows up I’d do the same kind of thing having Strowman tear the place apart looking for Lesnar. Strowman is cleaning up the mess he mad. Vince questions him and tells Strowman he is a danger zone. He tells him it’s gonna cost him 100,000 dollars. Strowman tells McMahon this piece of crap isn’t worth that. McMahon then tells Strowman he is out of the championship match. Strowman then lifts the limo and tips it over. Braun Strowman is being escorted out of the building. Banks and Jax start off the match but Jax tells banks she wants Rousey. Banks doesn’t give and hits Jax with huge rights and shes takes her down. Jax gets in control and keeps Banks in the corner. Banks fights out and tries to wear down Nia by applying a sleeper hold. Jax then throws Banks down. Banks is able to connect with a knee and goes up top. She connects with a bulldog and then hits a sliding knee but Jax kicks out of the cover. Rousey then gets the tag but Jax quickly gets back into control and tags Tamina. Tamina comes in hot and hits a big headbutt. Rousey fights back and tries to lock in the armbar but Tamina is able to fight it off. Tamina plays mind games upon re-entering the ring. Banks comes off the apron and hits Tamina on the outside as Raw goes to break. 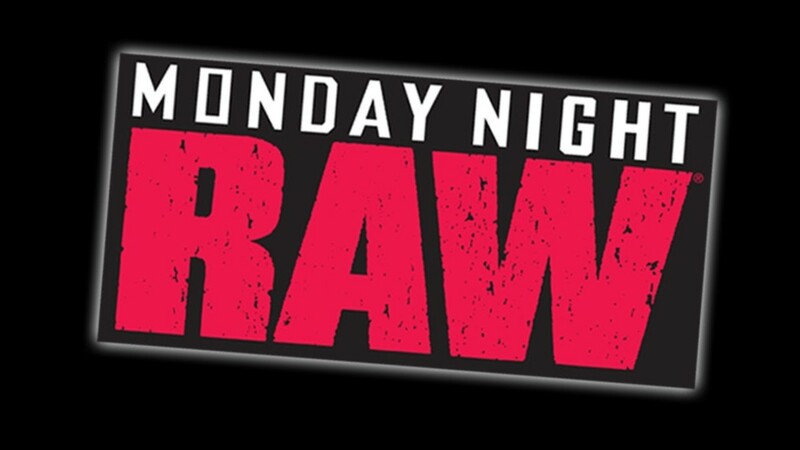 As Raw returns, Jax as Banks in a bear hug. Banks tries to fight back but gets caught and hit with a powerbomb. Jax goes for the cover but Banks is able to kick out. Jax then works a half nelson. Banks is able to get to her feet but quickly is brought back down to the mat. Jax hits Banks and knocks her back down again with an elbow. Tamina comes in and stomps on Banks in the corner. Banks fights off Tamina and lands a roll-up but Tamina is able to kick out. Tamina though comes back and prevents the tag. She then lands a cheap shot on Rousey. Banks catches her with a kick and then is able to move out of the way so Jax gets knocked off the apron. Banks hits a side Russian leg sweep and locks in the Banks Statement, Tamina taps. *** Charly asks why their match didn’t affect them as partners. Rousey said they respect each other and says when she beat Banks it will be her greatest accomplishment. Banks says she is glad to see where she ranks. Rousey tells her that she can only show her the respect by tapping her out. Banks questions her and says she isn’t the only who can tap people out. She tells Rousey again she will teach her how to lose with class. Rousey tells her to teach her by example and says she can keep the title of loser. Banks tells her she is not scared of her and tells Rousey at the Royal Rumble the only loser will be her when she takes back her title and she can Bank on that. Rousey goes to talk to her on the stage and the two continue to argue. Banks and Rousey did great as a team tonight and made Nia and Jax look pretty weak. Banks showed a lot and proved she can take on anyone. Ronda can’t take her lightly, the past two weeks she’s tapped out both Jax and Tamina. Banks looks ready to go and as for Rousey, I think she’ll be ready. The only thing for Rousey is she really needs to find her character and work on her promos more. Jerry Lawler steps out of the office of Vince McMahon. Natalya tells Ronda to go to the locker room and Bayley does the same to Banks. Natalya tells Bayley Banks needs to control her emotions. Bayley says it’s not Ronda’s fault. Bayley and Natalya keep arguing and here comes the Riott Squad. Ruby says everyone keeps falling apart but they keep sticking together. Liv says Bayley is just mad Banks left her. Riott challenges Bayley and Natalya to find a friend and face them tonight. Natalya says they accept. Wilder flip Kalisto and taunts him. Wilder backs him to the ropes and then throws hi but Kalisto stays on his feet. Kalisto uses his speed to get away and land nice shots to Wilder. Metalik gets the tag and her and Kalisto double team Wilder. Metalik tries a tag but can’t get the three. Kalisto comes in and works Wilder but Wilder pulls him to the corner. Dawson gets the tag and he takes it to Kalisto. Dawson hits Kalisto with a huge right in the corner. Dawson knocks down Kalisto and goes for the cover but he kicks out. Wilder gets the tag and prevents Kalisto from making one. Kalisto fights him off and Metalik comes in hot taking it to Dawson and Wilder. Kalisto comes in to lend a hand but Dawson takes him down with a clothesline. Metlaik lands a takedown but can’t get the three. Dawson fights back and plants Metalik getting the three on the cover with an assist from Wilder. Good victory for The Revival after being screwed last week. They made a statement tonight that if this gonna happen to them then they will resort to any tactics they have to. I don’t blame them for being like this and maybe this is the attitude that will get them to the top. Mr. McMahon says he could say who will face Brock Lesnar but he’d rather go to the ring. Before talking McMahon is cut off by the music of John Cena! Cena tells Vince he knows what he is gonna say and he knows what he wants to do. Cena says he knows Vince is out here to tell someone to step up. Cena says he will save him some trouble. He tells Vince of all the people who left him and says at that time he needed someone to step up and Cena says he was the guy who stepped up and he didn’t let him down. Cena says stepping up is putting your life on hold it’s making this your life and loving every second of it. Cena tells Vince to give him a chance and says he will not let him down. Cena says he will walk into the Royal Rumble and walk out the world champion. Cena says he will show Ruthless Aggression. Here comes Drew Mcintyre. Mcintyre tells Cena how dare he. He tells Cena he doesn’t care if he talks about his championships or movies or book he is writing but how dare he stand there in this ring and claim he still has Ruthless Aggression. Mcintyre tells Vince this is what Ruthless Aggression looks like. He tells Cena his time up and his time is now. He tells Cena like the Rock and Stone Cold he can leave. Corbin then comes out. Corbin says his life was threatened tonight and tells Vince what’s best for business is he gets a Univeral Championship Match. Here comes Finn Balor. Balor says he is a little tired of always being left out of these conversations. Balor says these three can make claims to a lot of things but he is the only person out here who has been Universal Champion. Vince tells Balor he is a great competitor but he doesn’t know. Balor tells Vince he never believed in him but the people do. Balor says he knows Vince is stubborn and nothing he says will change his mind but he’ll show him. Balor starts the brawl but Mcintyre quickly takes everyone out. Vince says he likes this and announces we will have a Fatal Four Way Match to decide. I like all four of these men stepping up like this. I think Corbin obviously is the weak choice so it most likely won’t be him but as far as the other three they each could face Lesnar. I think each one would bring a different thing to the table. Personally, Cena or Balor would be the best choices. They are at a baseball stadium and need that place sold out. So you can go with the man everyone knows Cena or the guy who has the hearts of the fans Balor. Either way, it’d be good, if they go with McIntyre then he will really need to step up and make a name for himself. Jinder Mahal tells Vince it’s an honor to be in his presences and says it’s a fantastic suit he has one. He says he is a little offended he wasn’t considered for the Fatal Four Way. Vince questions him. Mahal says yes and says he would’ve come out if he wasn’t tending to Sunil. Mahal asks for an opportunity. He tells Mahal to choose one of the men to face and if he wins he’ll replace him. Mahal chooses Balor. Logan and Bayley start off the match but before the collide Cross asks for the tag Cross jumps on Logan but is thrown off. Morgan tags in and Morgan is hit with a right. Cross takes down Riott and forces her to go out of the ring. Cross then goes after all three members. Bayley and Natalya get involved as well. Cross gets Riott caught up in the apron and hammers on her as Raw goes to break. As Raw returns, Logan is in control of Bayley. Bayley fights back with right hands and then lands a cross body working a pin but Logan kicks out. Logan takes it to Bayley and then lands a huge knee. Bayley stays in it and tries a roll-up but Logan again kicks out. Morgan gets the tag and plants Bayley face first. Morgan locks her up on the ropes and works her. Morgan pins her but Bayle kicks out. Bayley lands a series of kicks but Morgan hangs on and tags Logan. Logan works Bayle in a half nelson and keeps her grounded on the mat. Logan heaves Bayley into the corner and then stomps on her. Logan does the same once again but this time Bayley is able to create space by bouncing her off the turnbuckle. Natalya gets the tag and lands a dropkick. She hits a clothesline and then plants Logan face first. Morgan gets the tag and his a standing hurricanranna. Natala gets back in it off a distraction and tags Cross. Cross comes off the top rope planting Morgan. She then hits Logan and Natalya takes down Riott with a suplex. Cross flips Logan and then Natalya hits her with a dropkick. Cross flies to the outside taking out Riott. Morgan tries a kick but gets caught. Morgan tries a pin but it doesn’t work. Cross hits Morgan with a neck-breaker and Bayley finishes it off with an elbow getting a 1 2 3. So excited to see Nikki Cross on Raw! Although I would love for her to stay here on Raw I think she may have a better shot on SmackDown. If she does pick Raw though she is gonna completely change the game. She came out hot tonight and there isn’t any superstar like her in the Women’s Divison. This was a very entertaining match though and it shows what Cross can bring to the table, hopefully, people know who she is now. Ambrose claims how he doesn’t know how Lashley or Rollins got into this match tonight or why he is defending in Memphis but he is not gonna lose his Intercontinental Championship. Mahal attacks Balor off the distraction by Samir Singh. Mahal throws Balor into the barricade and taunts Balor. Mahal brings Balor back into the ring and tells the ref to ring the bell. Balor says he can go. Mahal lands a huge kick and goes for the cover but Balor kicks out. Mahal lands a right hand and then a cross-face to Balor. Mahal stays on him and locks in a chin lock. Mahal keeps the move on and wrenches it deeper keeping Balor on the mat. Mahal lands a hip check but Balor battles back and hits a basement dropkick. Balor is brought to the apron but Balor fights back and hits an enziguri sending Mahal to the floor. Mahal fights back and trips up Balor on the apron as Raw goes to break. As Raw returns, Mahal stomps on Balor. Balor then is thrown into the corner hard and hits the mat. Mahal hits him with an elbow and then wrenches on his face. Balor is able to shift his weight and tries a cover but Mahal kicks out. Mahal gets back into control with a chin lock. Balor is able to create separation and is able to connect with the overhead kick. Balor hits Mahal with double boots and continues to fight back knocking down Mahal. He lands a shot to the mid-section and stays hot. He looks for a sling blade but misses. He is able to stay in control and send Mahal to the floor. He then flies to the outside to take out Mahal and Singh. Balor hits the sling blade and then drops Mahal in the corner. Balor goes to the top and hits the Coupe de Grace. Balor gets the 1 2 3. Balor once again shows he can get the job done no matter what the odds are. Balor is a true champion in the heart of the fans and everyone is behind him. Hopefully, tonight he will put on a good showing in the Fatal Four Way. I think they’d be crazy to not seriously think about making Balor Universal Champion. I feel like people really want to see it happen. Rollins throws Ambrose to the floor and then attacks Lashley. After Lashley goes to the outside Rollins flies to take him out on the floor. Back in the ring. Rollins hits a crossbody and tries a cover but Ambrose kicks out. Ambrose gets back in control and hammers on Rollins. Ambrose and Lashley then both tee off on Rollins. Lashley lands a snap suplex and goes for the cover but Rollins kicks out at one. Ambrose holds up Rollins and Lashley hits him with a right. Lashley then works the head of Rollins. Lashley holds Rollins and it allows Ambrose to land a huge kick out. Ambrose and Lashley continue to pick apart Rollins. Rollins is thrown into the corner. Ambrose and Lashley test each other but Rollins jumps back in. Lashley lands a wicked spine buster on Rollins. Rollins recovers and tries a pin but Ambrose kicks out. On the outside, Rollins flies from the ring and takes out both men. Rush tries to get involved but it allows Lashley to plant Rollins on the floor. Lashley then plants Ambrose as Raw goes to break. As Raw returns, Lashley has Rollins in a chin lock. Rollins gets caught in the corner but Rollins hits a boot on Lashley. Ambrose then lands a clothesline. Ambrose and Rollins work together to take out Lashley and send him to the floor. They then meet him out there and use the steel steps to knock him down. Ambrose and Rollins fight in the ring but neither can get the advantage. Rollins keeps fighting and lands the Falcon Arrow but Rush breaks up the cover. Rollins grabs Rush and Ambrose comes from behind driving Rush to the floor. Lashley takes out Rollins and tries a cover on Ambrose but Ambrose kicks out. Lashley runs into Ambrose and Ambrose hits him. Rolins comes off the top to take out Ambrose. Rollins hits an enziguri and goes to the top to hit the splash on Lashley. Ambrose throws Rollins out fo the ring and pins Lashley but Lasley kicks out. Rollins keeps on fighting with superkicks. Rush gets involved again and it allows Lashley to hit a spear on Ambrose. Lashley pins Ambrose and gets the 1 2 3. Wow, big congrats to Lashley. 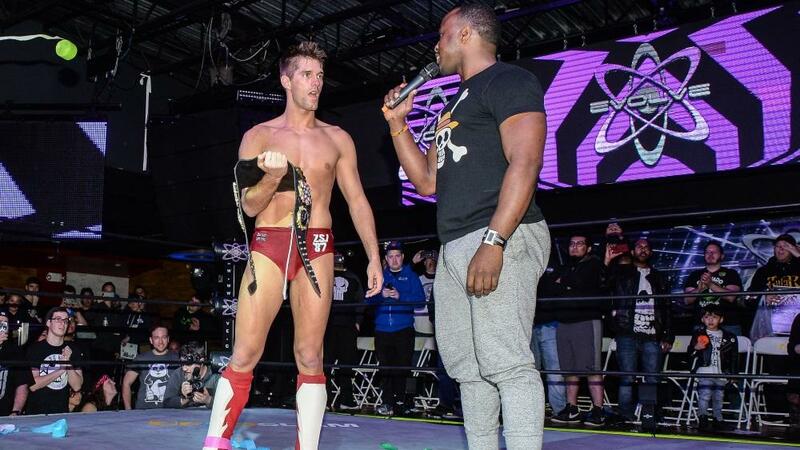 It took almost a year but finally, Lashley wins gold. First of all, this was an excellent match. There was so much back and forth and each man gave it their all. Lashley deserved the win and it’ll be good to have a new face as the champ and give Lashley some new rivalries. I like the excitement of this and I can’t wait to see how his run goes. Also, I wonder what will be next for Rollins and Ambrose. Alexa is told she is up next but doesn’t. The producer comes in and Alexa is getting dressed. She tells him to go. Bliss tells how there will be teams in the Elimination Chamber and the winning team will be the new WWE Women’s Tag Team Champions. She says that what we do on A Moment Of Bliss we make history. Bliss then welcomes Heyman. Heyman comes out and tells everyone to welcome him. Bliss asks Heyman about the changes made to the Universal Championship. Heyman tells how no matter what the Universal Champion will still be Brock Lesnar. He tells that they could line up the 4 competitors and Lesnar would eat through them. He then questions which one of the four will win. He tells how Cena created Suplex City. he then tells that Drew Mcintyre is a guy everyone should watch and says one day he will be Universal Champion just not now. He then asks about Corbin and says he understands Corbin is not the most popular guy in WWE. Dozer of Heavy Machinery makes an appearance. Bliss tells him this is not a moment of Ottis. Tucker comes out and brings him back. The segment abruptly ends the Fatal Four Way is about to begin. I’m starting to feel bad for Alexa, this is the second week in a row her show hasn’t really gotten a fair go but hopefully, she will continue to do these each week. I think it works well for her right now and it’s good to have some kind of talk show on Raw. I really wanted to hear more of what Heyman had to say but I’m sure we’ve heard it all before. Corbin goes to work on Balor and Mcintyre does the same on Cena. Balor is able to take down Corbin but he’s caught going up top. Corbin lands a chokeslam backbreaker but can’t get the three on the cover as Raw goes to break. As Raw returns, Cena is dumped to the outside. Balor goes after Mcintyre but can’t get the three. Cena gets back in it and tries to take it to Corbin but Mcintyre gets back into it and hammers on Cena. Cena lands a couple of shoulder tackles and plants Mcintyre. Cena then hits the Five Knuckle Shuffle. Cena lifts Mcintyre and hits the AA but Corbin breaks up the cover. Corbin takes it to Cena hammering on his back. Cena lifts Corbin but Corbin fights right off his shoulders. Balor helps and he and Cena double team Corbin with a suplex. Cena and Balor then hammer on Corbin in the corner. They bring him to the top rope and continue with the stiff rights. Mcintyre comes in and slams Cena and Balor from the second rope. Mcintyre goes to the top and grabs Corbin. Corbin hangs on and hangs him up. Corbin then hits him with a right and Mcintyre is hung up in the corner. Mcintyre gets up and throws Corbin to the mat as Raw goes to break. As Raw returns, Balor is taken down by Mcintyre. Mcintyre and Corbin battle but Mcintyre gets in control with the Glasgow Kiss. Cena flies but is caught and hit with a spine buster. Mcintyre covers but Cena kicks out. Mcintyre and Balor continue to fight off Mcintyre and Corbin. Balor is able to knock down Cena but Cena gets to his feet and meets him up top. Cena hits the AA from the second rope but Corbin throws Cena out of the ring and goes for the cover, Balor kicks out. Corbin goes to the outside and grabs a chair. He hits Cena with it and then goes after Mcintyre with it. Corbin the turns his attention to Balor and hammers on his back. Corbin pins Balor but Cena breaks up the cover. Cena hits the AA on Corbin but he’s the hit with the Claymore. Balor plants Mcintyre. Balor goes to the top and hits the Coupe de Grace. Balor pins Cena and gets the 1 2 3. *** Cena tells Balor that he believes in him. He tells Balor to give him hell at the Royal Rumble. Yes! Yes! Yes! Balor did it, finally! It’s been over two years since Balor became Universal Champion and has been drug through the mud ever since. Tonight, Balor proved he can hang. He proved the crowd is behind him and he proved he can get the job done. I really feel like the crowd is behind him and they want him to win. We will see how this goes but I hope like Cena says Balor gives em’ hell at the Royal Rumble! This was an awesome Raw in my opinion. I really liked the unpredictability of the night. Who knew when we started that the night would end with Finn Balor getting to face Lesnar at the Rumble? This is just awesome, Balor deserves this shot and for Braun, I don’t know if he’s still hurt or what but I feel like this plan was probably in works already. Balor is so over and I think with WWE starting over they had to give him this chance. Balor now can show he is a top guy and I hope he wins, Let’s go Balor! I also liked Bobby Lashley winning the IC Title. It’s about time he gets something because he’s gotten the short end of the stick since he came back. I think Lashley could have a good run and it gives a good fresh feel to the title. Other than that we had some good matches and confrontations tonight. I really liked the reveal of the Women’s tag titles and I think they looked awesome. I can’t wait for next week to see how they bring in the Royal Rumble!